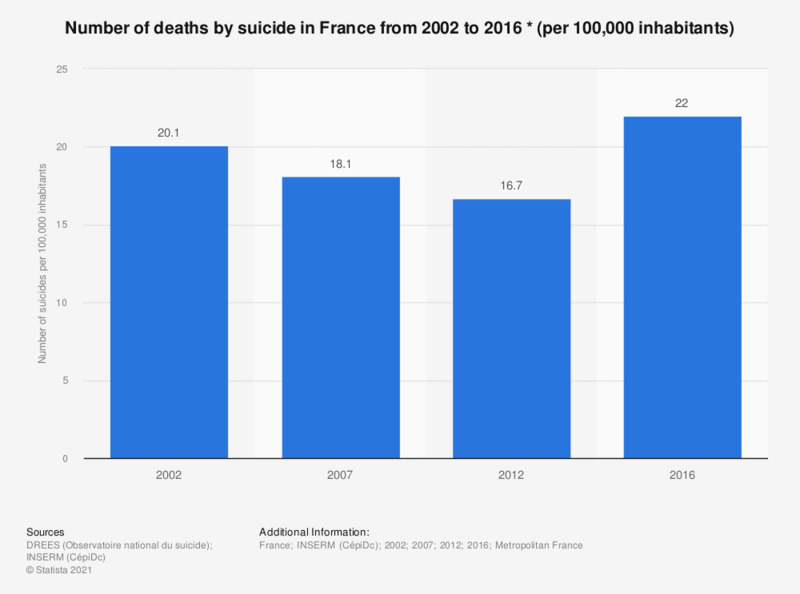 This statistic represents the rate of suicide deaths in France from 2002 to 2012 (per 100,000 inhabitants). In 2002, there were about 20 suicides for 100,000 French while in 2012, there were about 17 suicides per 100,000 people. Statistics on "Suicide in Japan"